Motto: ""If you don't live for something, one day you'll die for nothing...""
Unidentified plane. 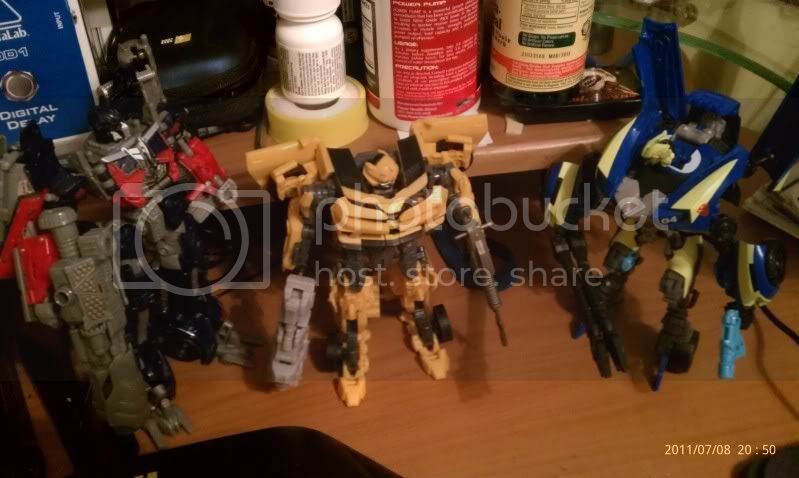 Could be Starscream, Skywarp, or Thundercracker. Given to me by my son. He broke the two upper rear wings off, so I swung the lower rear wings up. Can't confirm identity. maybe one of you knows? A Tank version of Megatron? Can't confirm series or identity. Maybe one of you knows? Given to me by my son. If you listen to the metal genre of music, you want to hear "DARK BLU"
Motto: "At least the opening was good." I hope you have a lot of fun collecting and that you get a ton of figures. It's a very satisfying hobby. Hirasawa Yui is the one truth of this world. Thank you. I knew one of you would have the answers to the unidentified Decepticons that my son gave me. Now I'll have to get Thundercracker, Skywarp and Starscream to complete the jet portion of my collection. 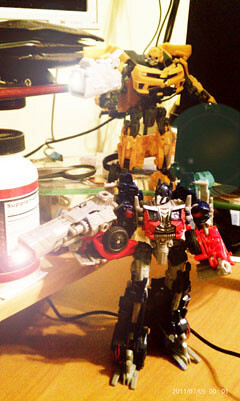 I'm totally back into it and fully intend to continue collection Transformers Action Figures without stopping again. Cyber_Tek wrote: Thank you. 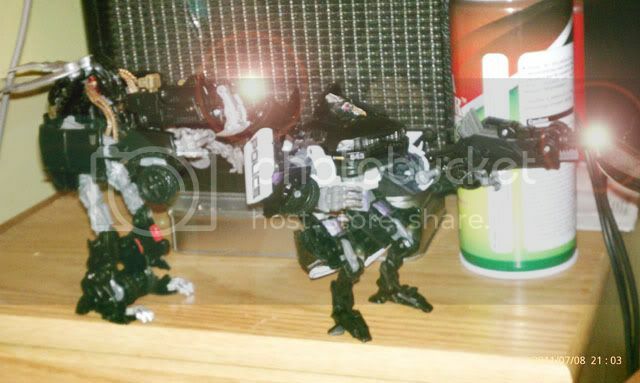 I knew one of you would have the answers to the unidentified Decepticons that my son gave me. Now I'll have to get Thundercracker, Skywarp and Starscream to complete the jet portion of my collection. No problem. 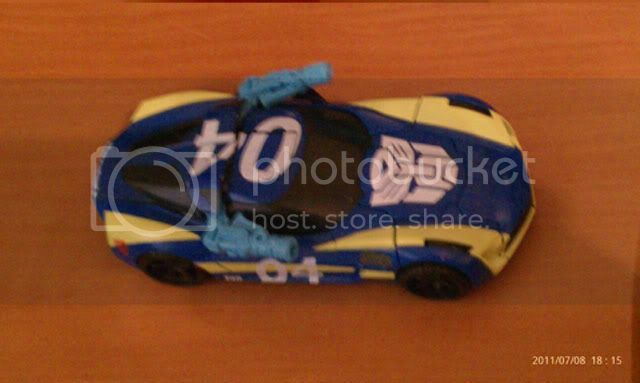 The Megatron figure also came with a Mini-Con called Leader-1, who was ironically named after the heroic Go-Bot leader. 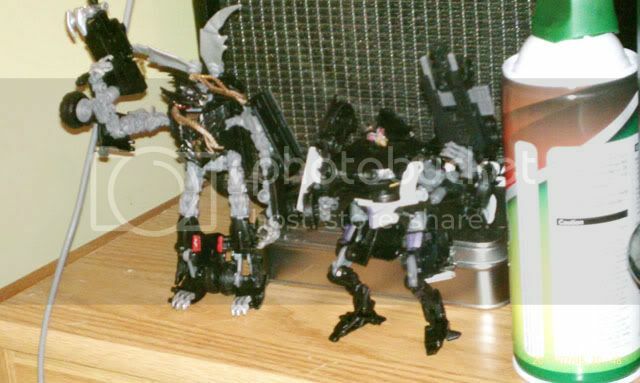 I noticed that the mini con was missing as I just looked for some more info on the Armada Megatron. The missiles and the two head pieces are missing too. Well, not missing. My son has them. Thanks. 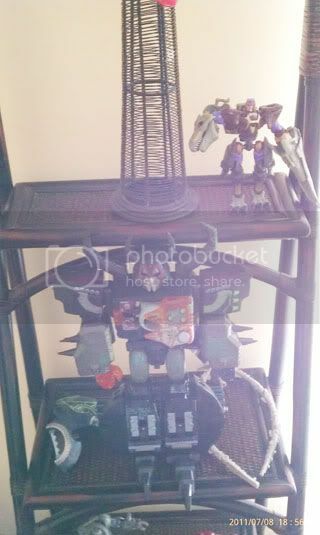 Cyber_Tek wrote: I noticed that the mini con was missing as I just looked for some more info on the Armada Megatron. The missiles and the two head pieces are missing too. Well, not missing. My son has them. Thanks. No problem. Let's hope he didn't lose them. I wasn't always good at keeping track of weapons and accessories when I was young. 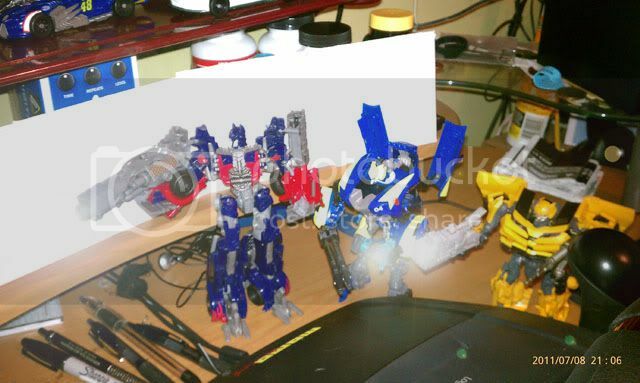 With Voyager OP and Deluxe Mechtech Bumble Bee (Barricade and Crank Case are in the background). 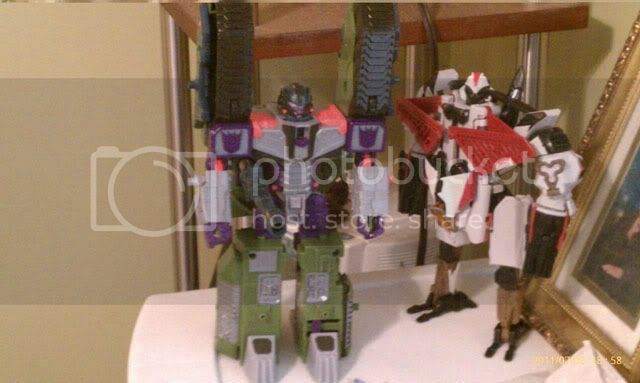 I added the sword to Side Swipe since This version of him didn't come with a sword (Cybertanium sword?). 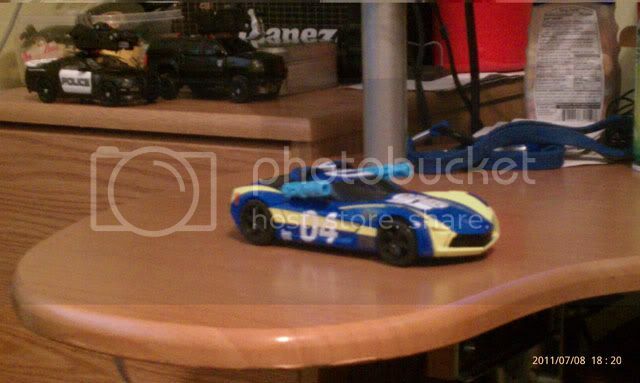 May paint the Sword Blue to match Side Swipe's paint scheme more than the original black color. 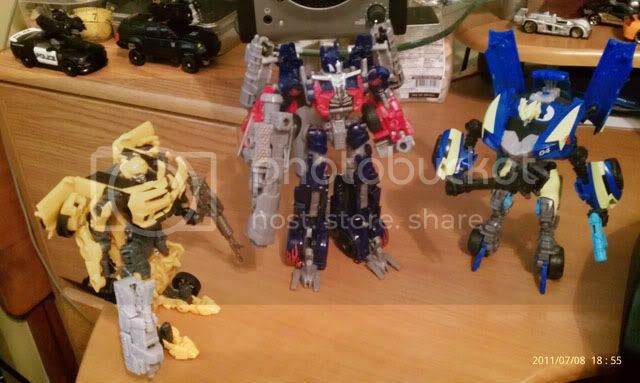 "We're going to sneak up on these Autobot fools and turn them into scrap metal.."
"Get ready to move on my mark... 3...2...."
"We've got the drop on them. OPEN FIRE!!" Are the wreckers really just going to sit back and watch?